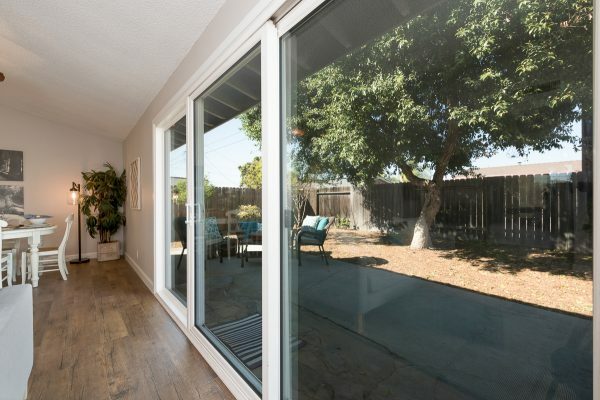 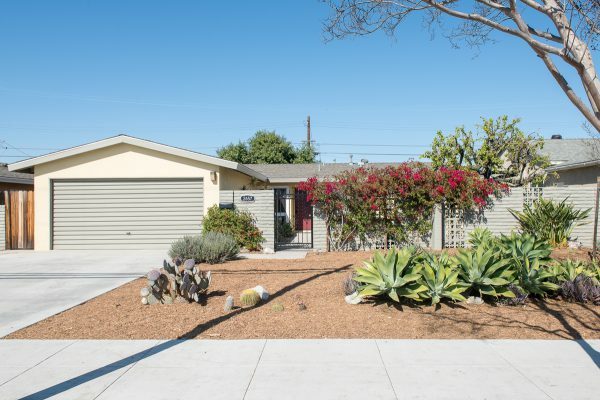 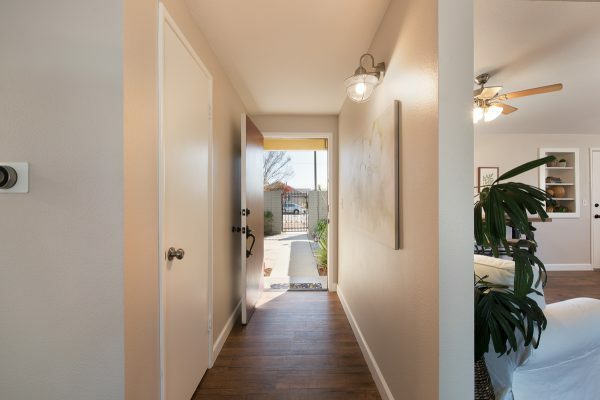 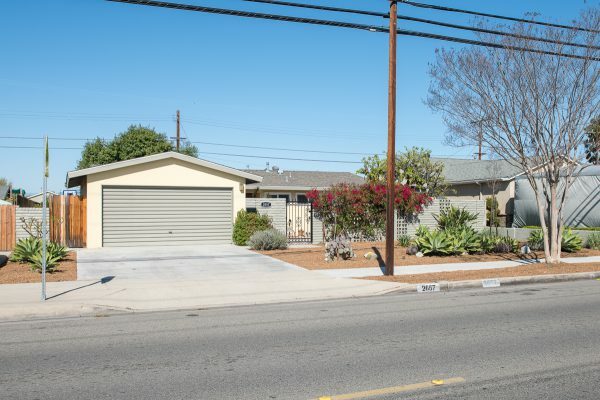 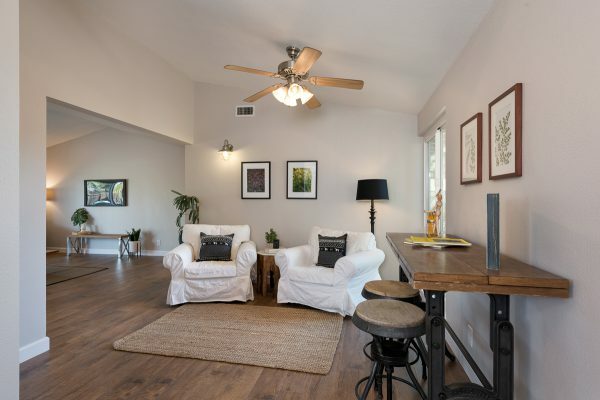 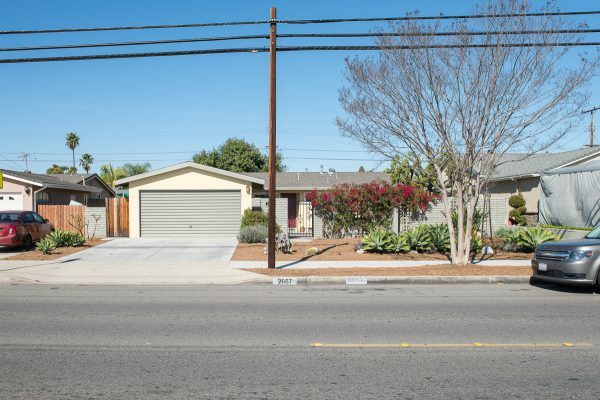 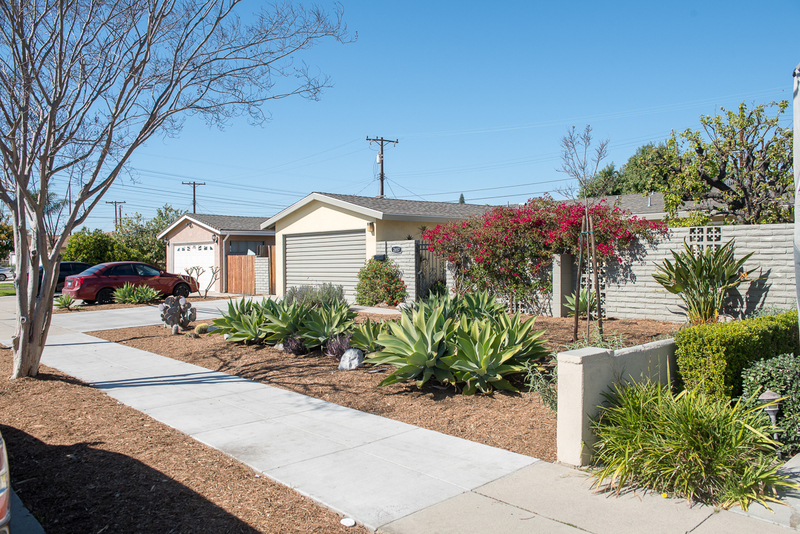 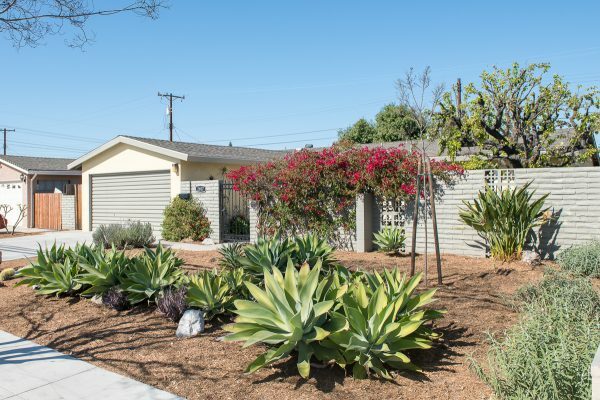 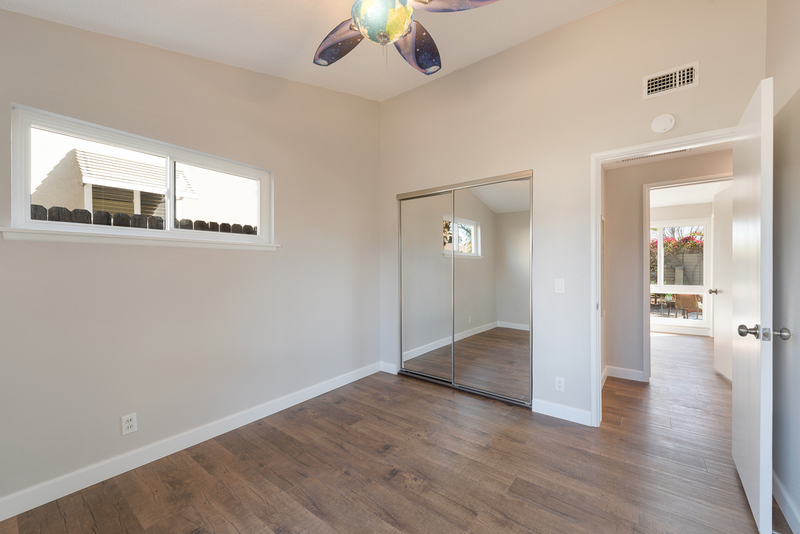 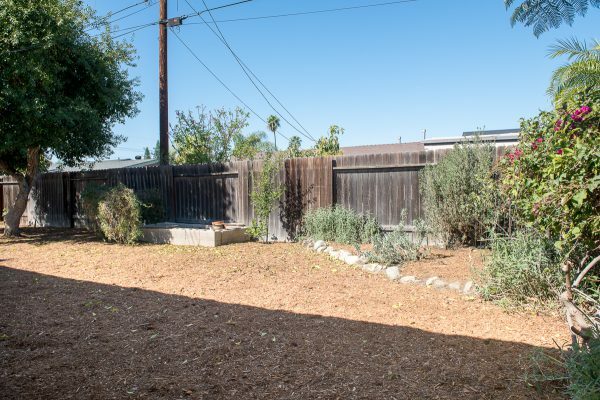 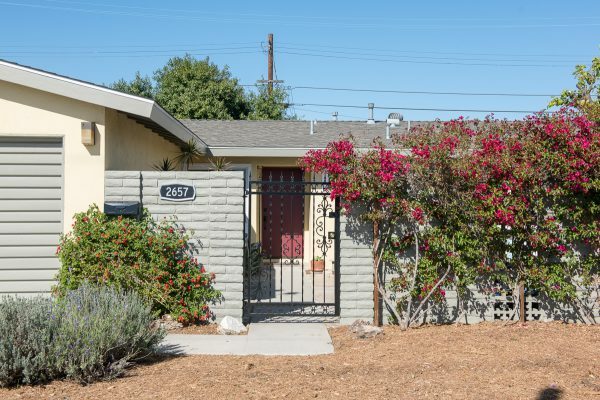 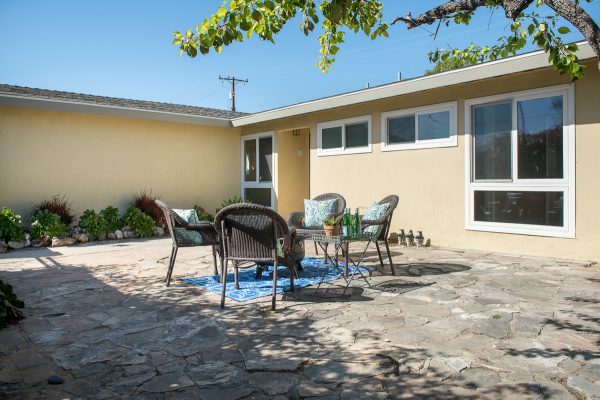 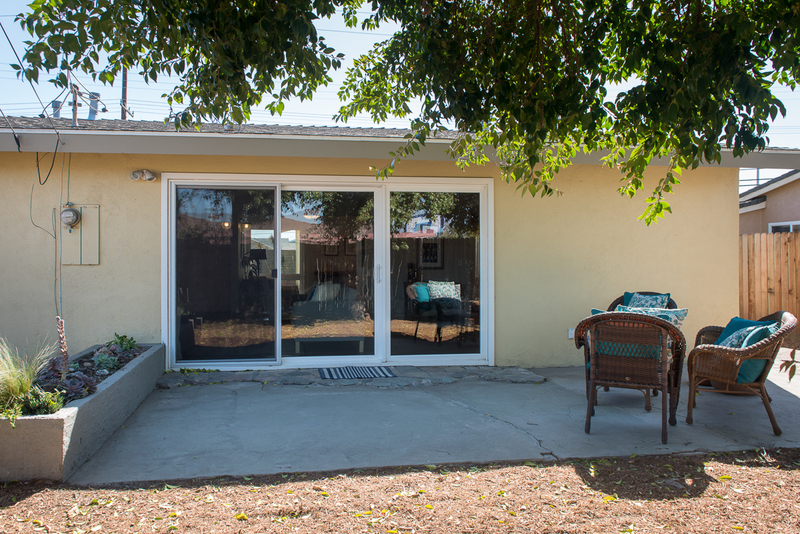 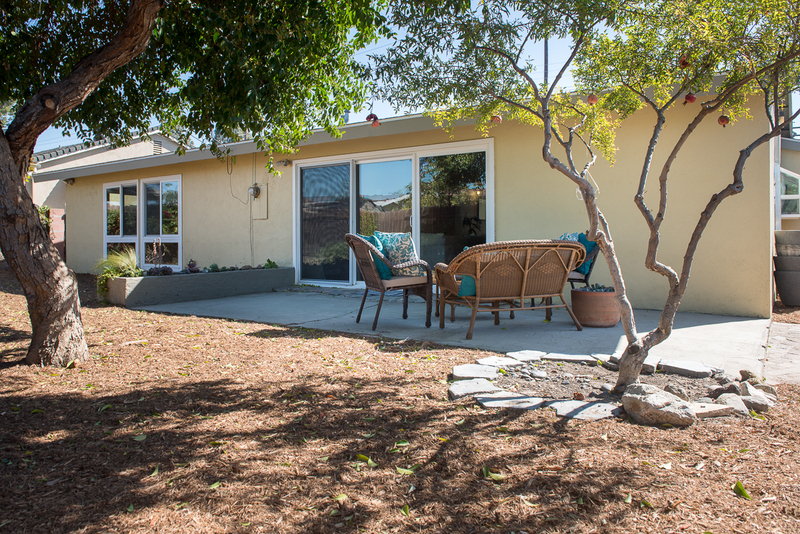 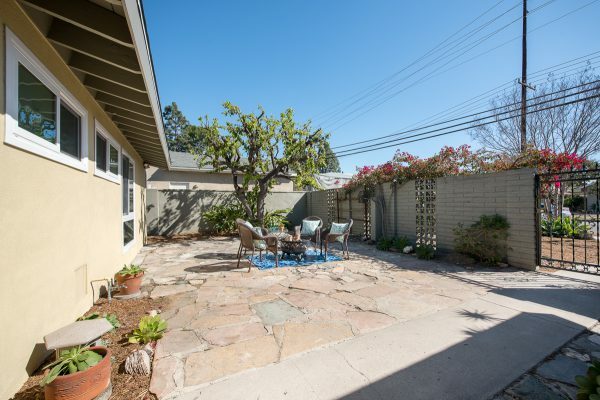 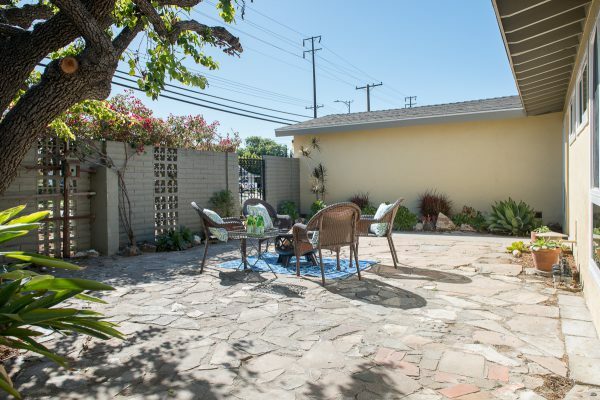 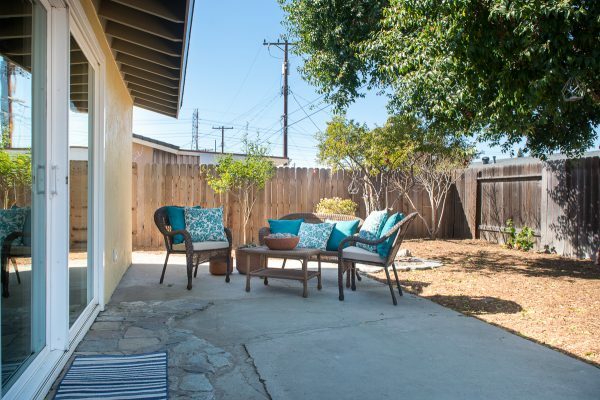 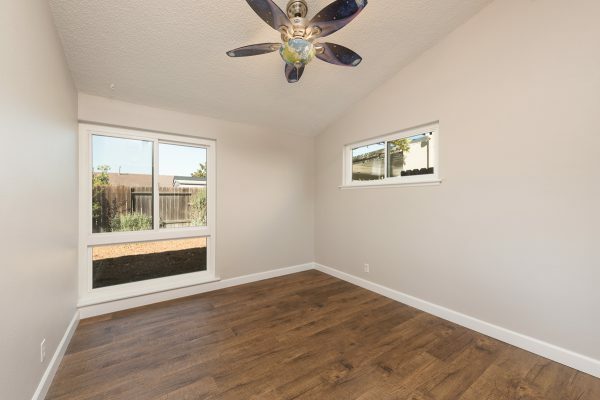 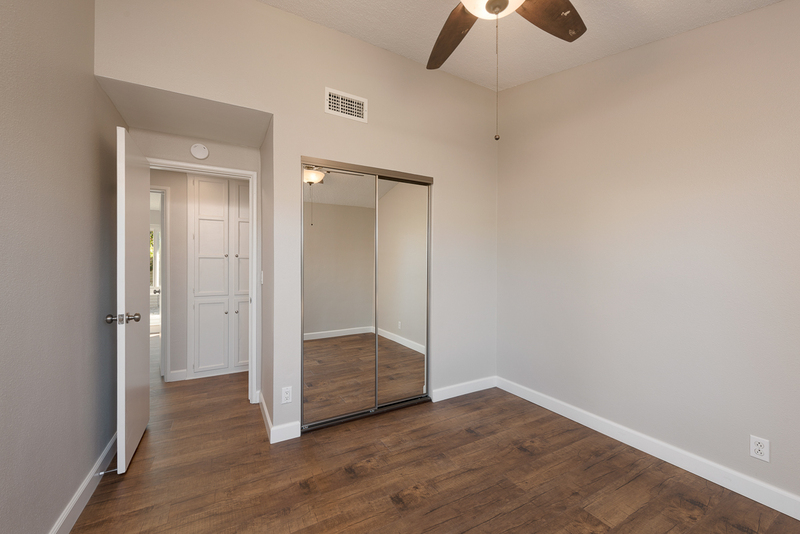 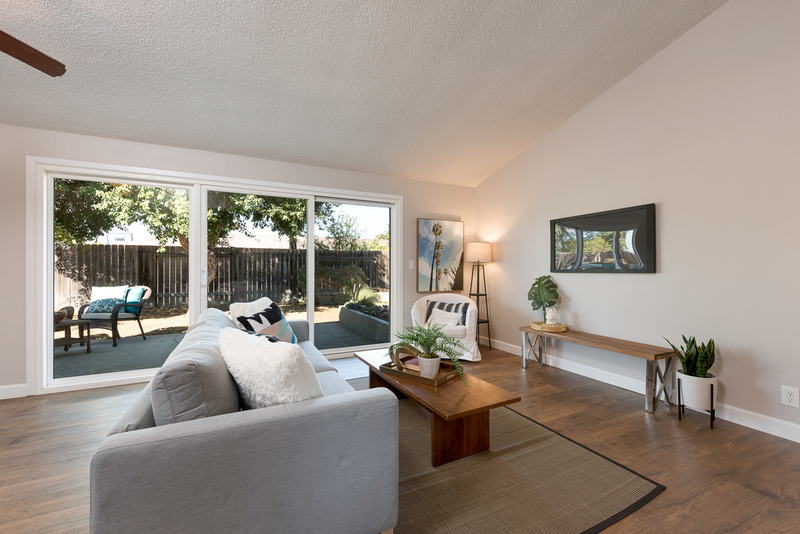 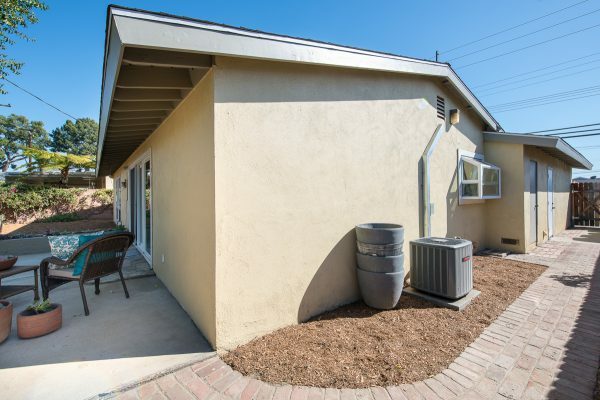 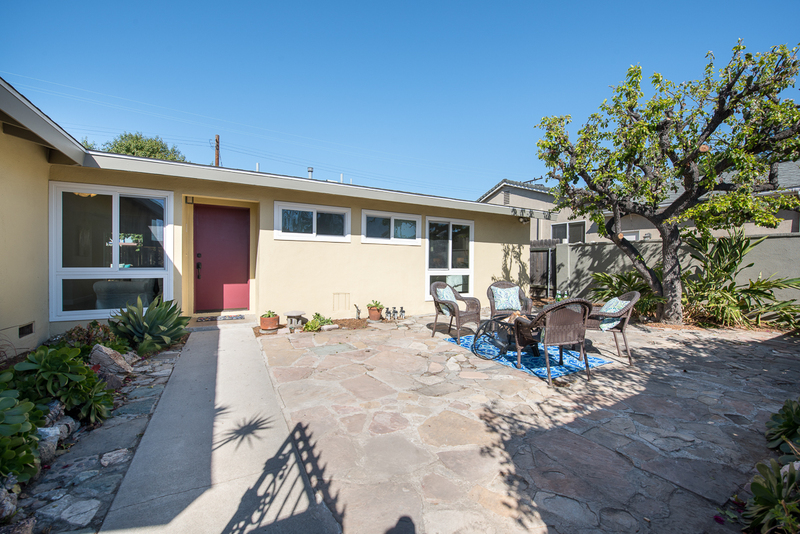 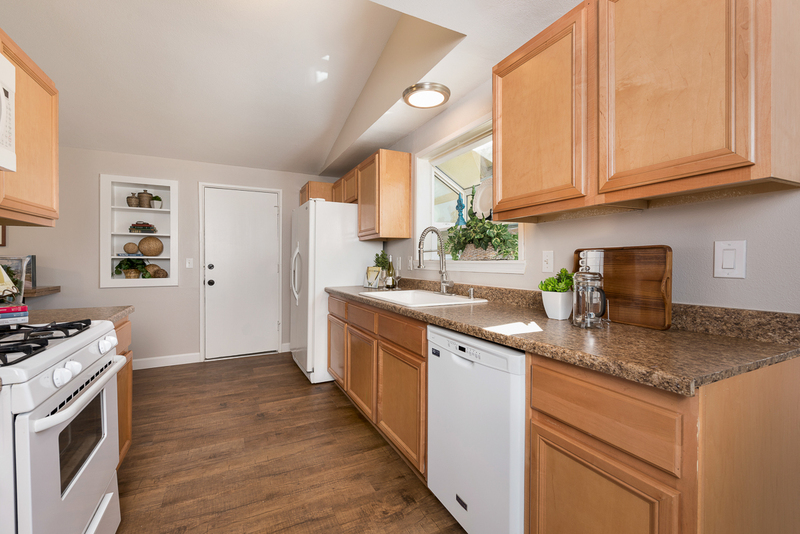 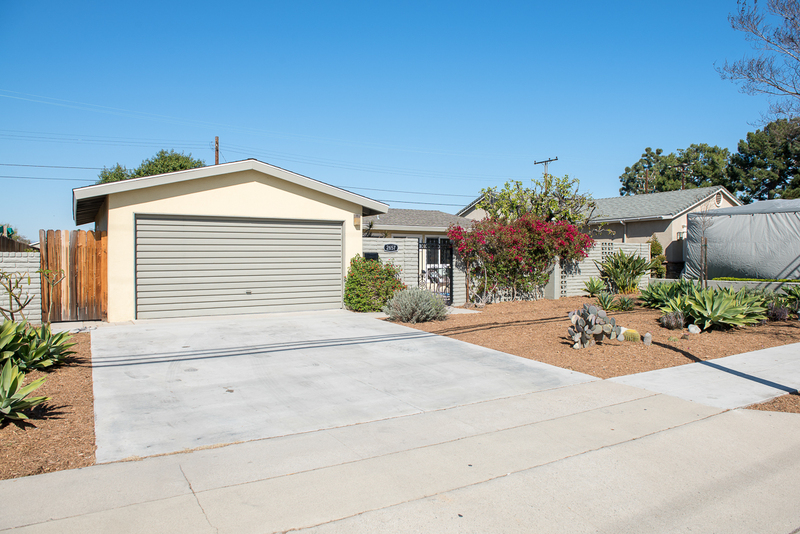 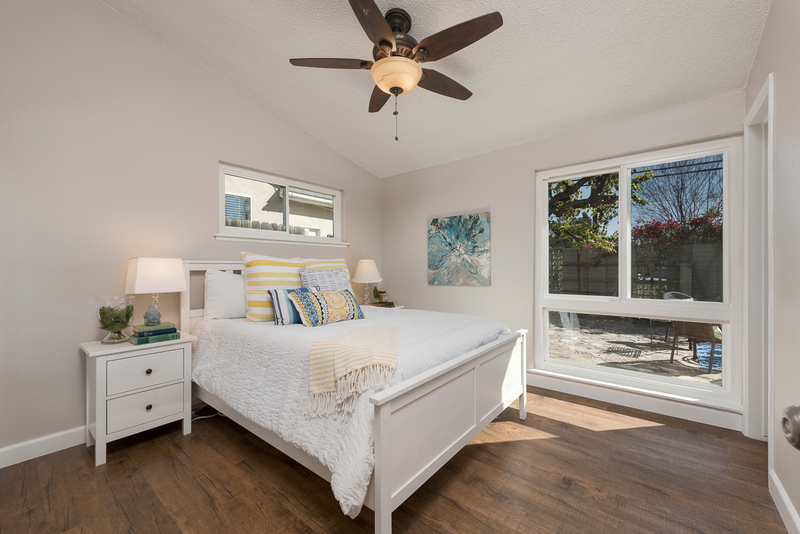 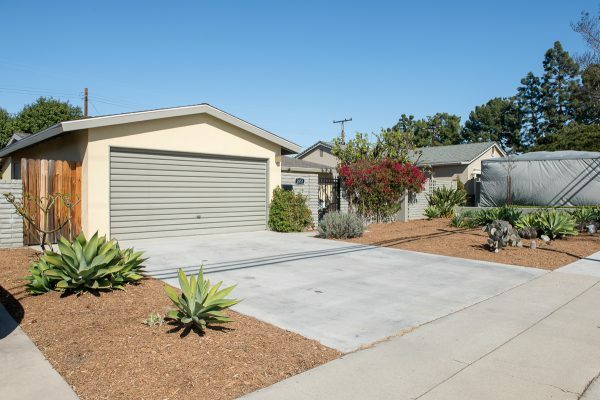 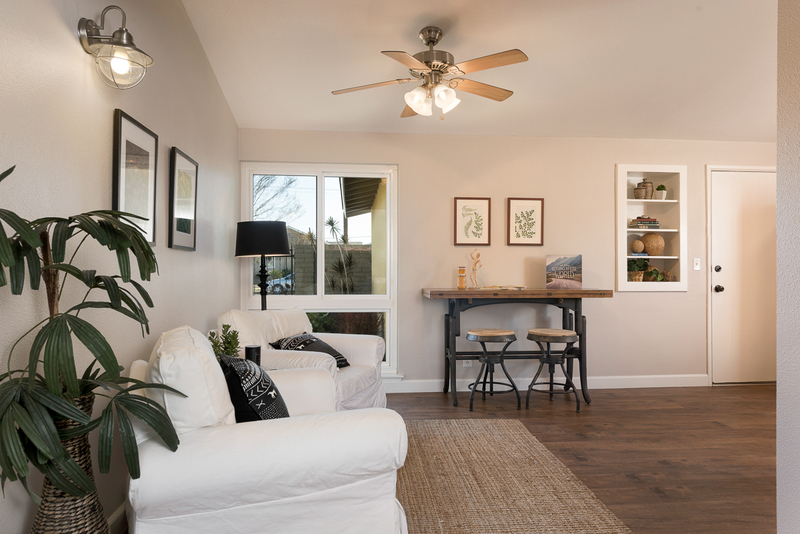 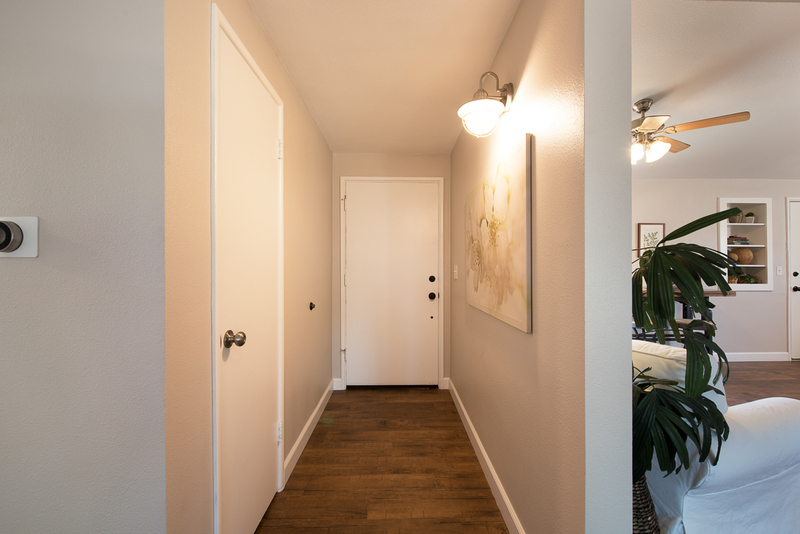 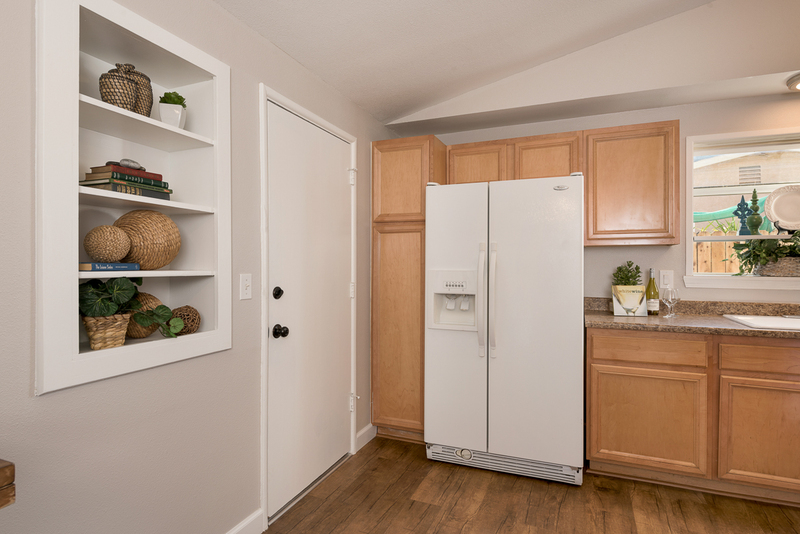 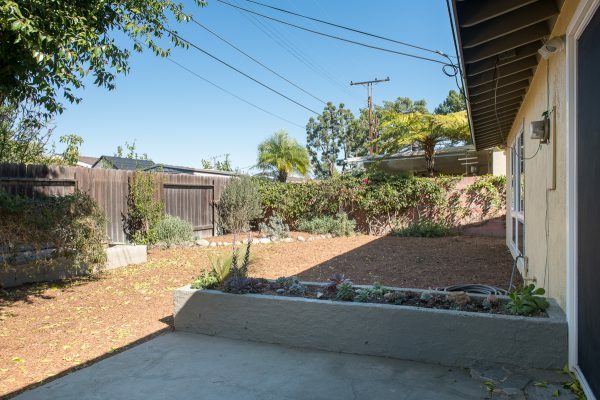 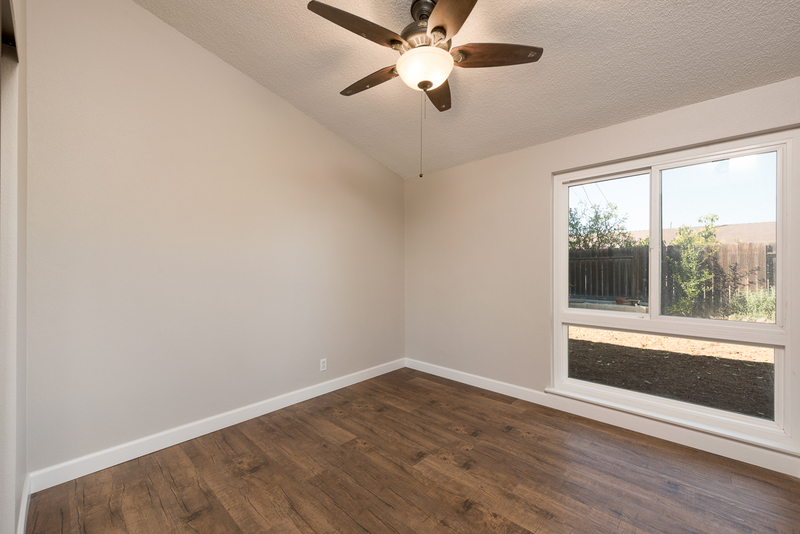 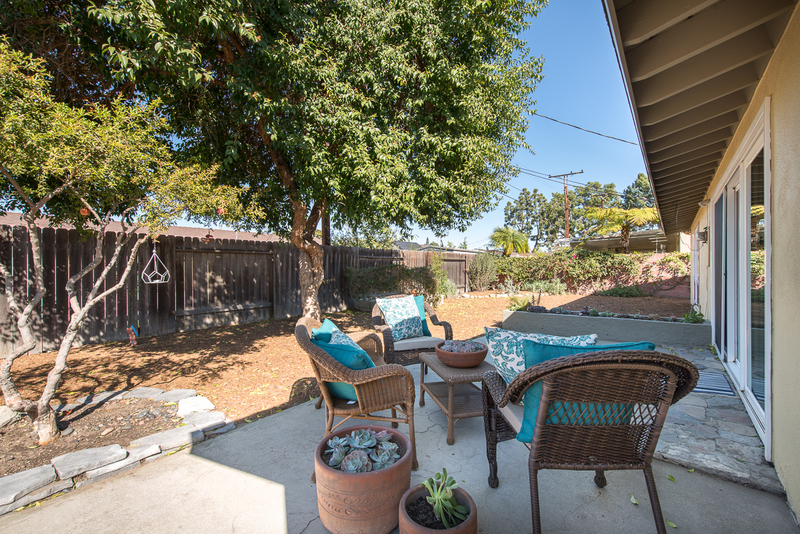 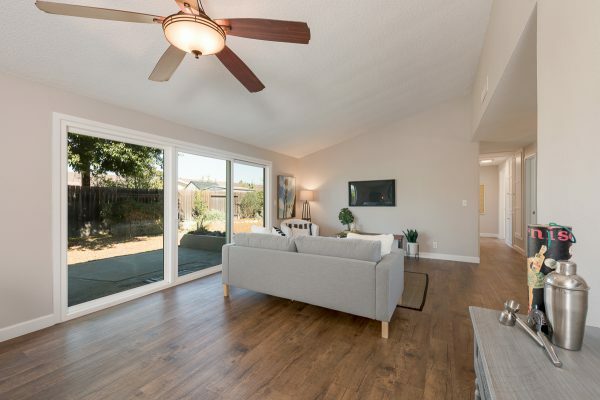 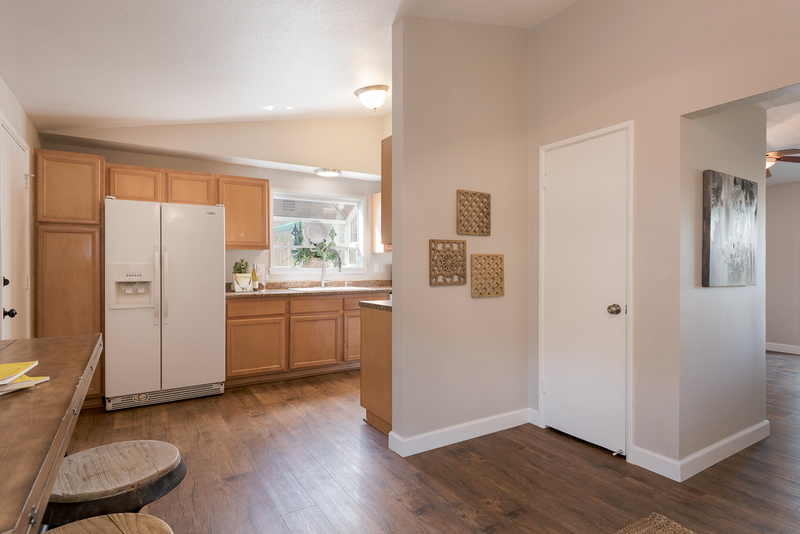 This move-in ready, single level, Mid-Century Modern Anaheim home has just been updated and is ready for family and friends. 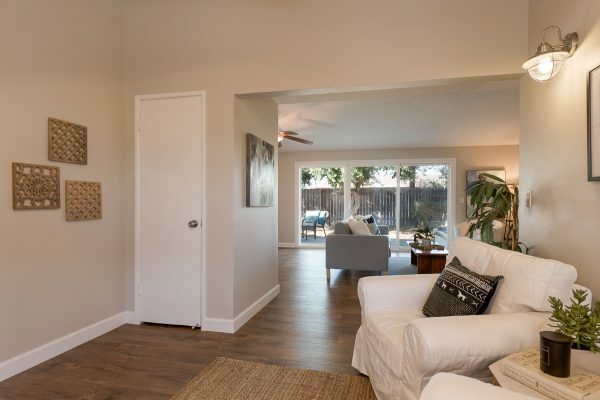 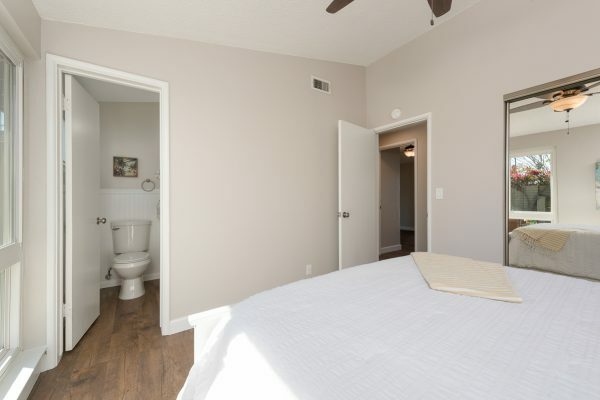 The recent updates and features include as follows: A huge open concept living and dining room with vaulted ceilings, newer dual pane floor to ceiling windows, new wood like low maintenance flooring, fresh designer paint, updated bathrooms with new vanities, remodeled kitchen, ceiling fans, central heat and air, Nest thermostat, mirrored wardrobe doors, and all new low maintenance and low water usage front and rear landscaping. 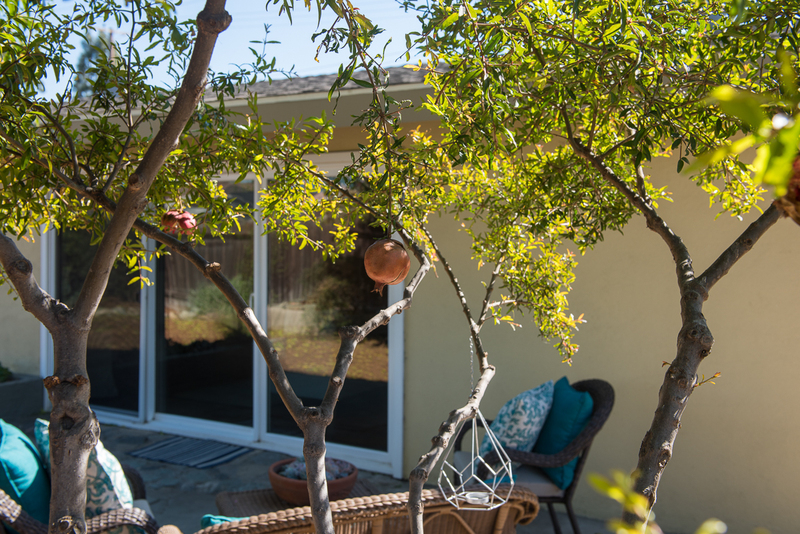 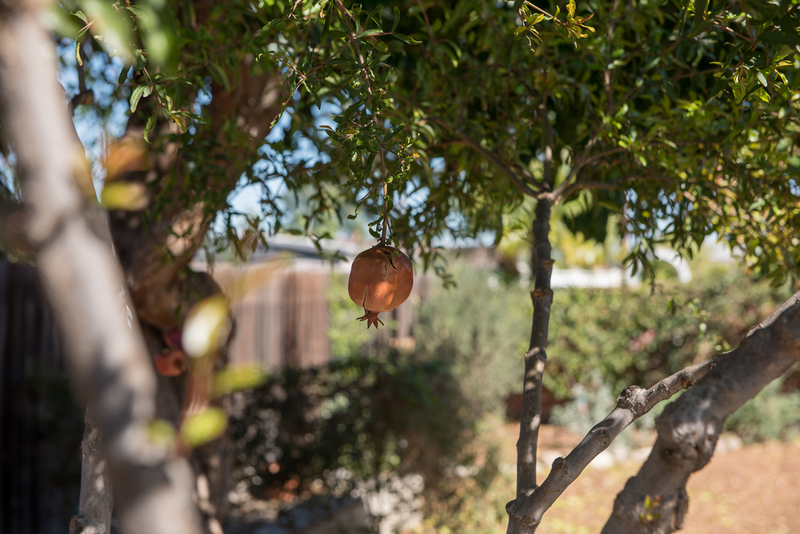 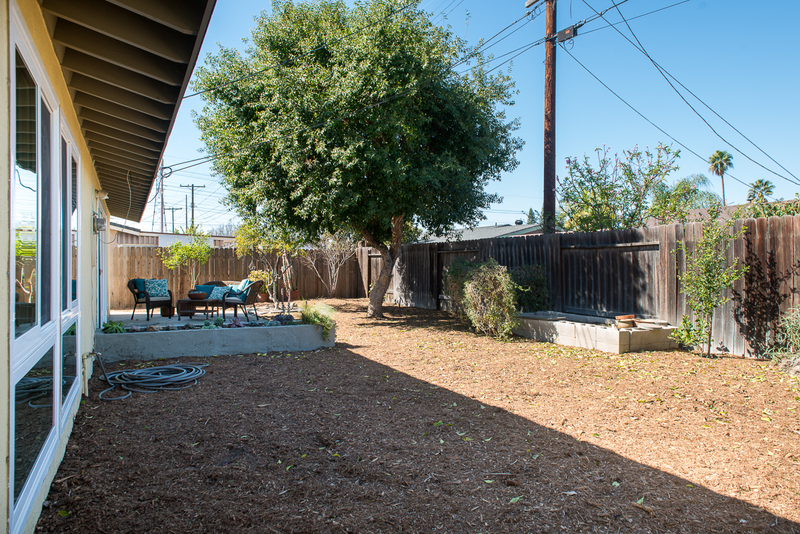 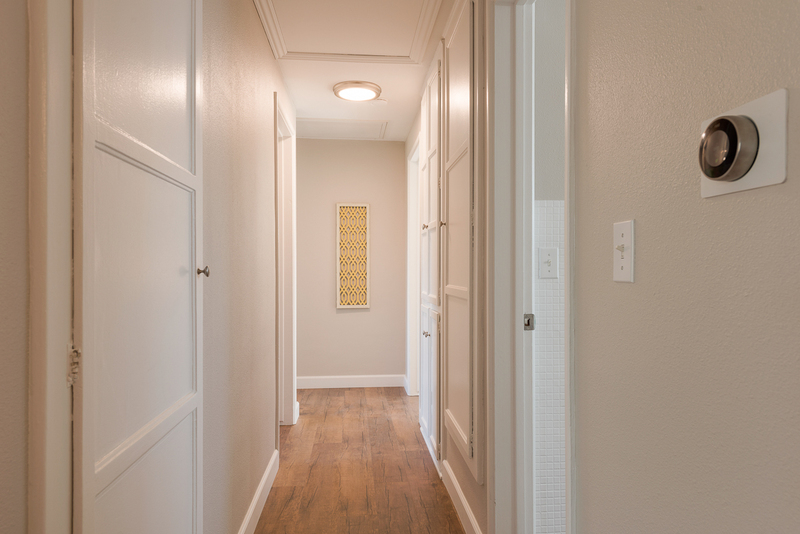 The front entry courtyard offers privacy and seclusion and the private backyard has fruit trees, a raised planter bed, herbs and open space. 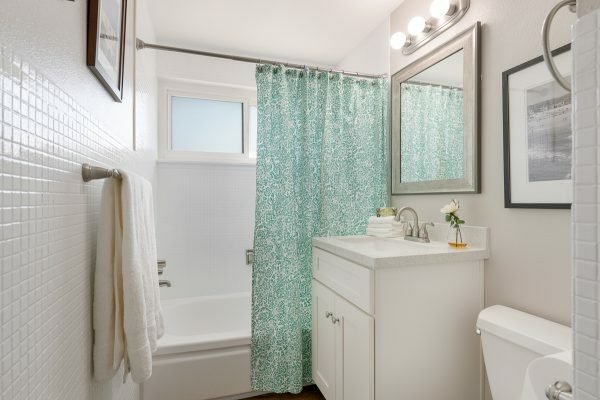 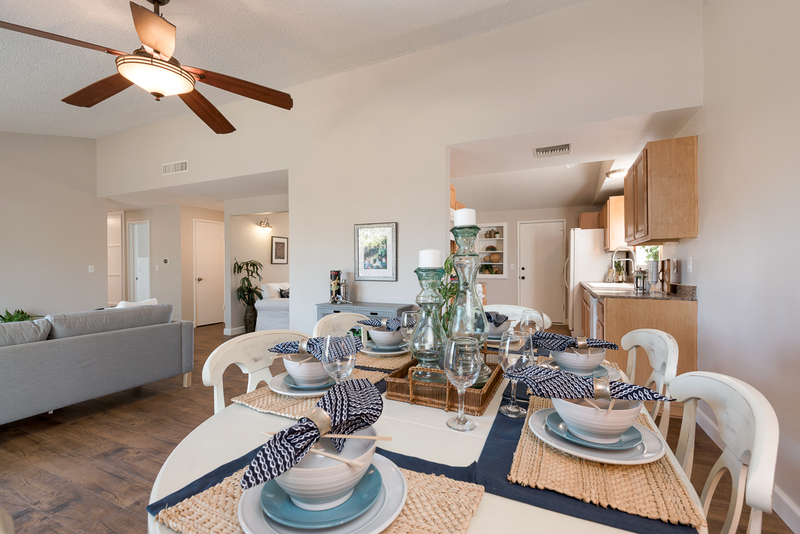 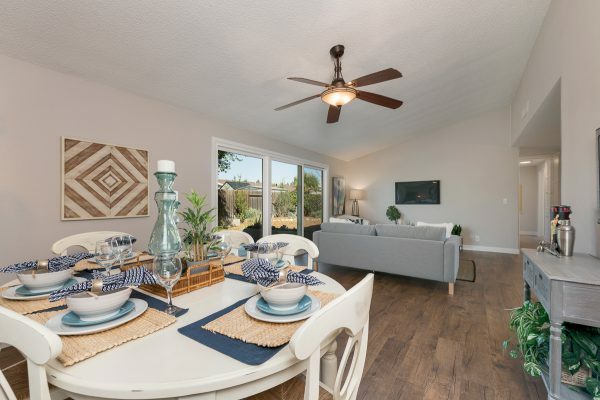 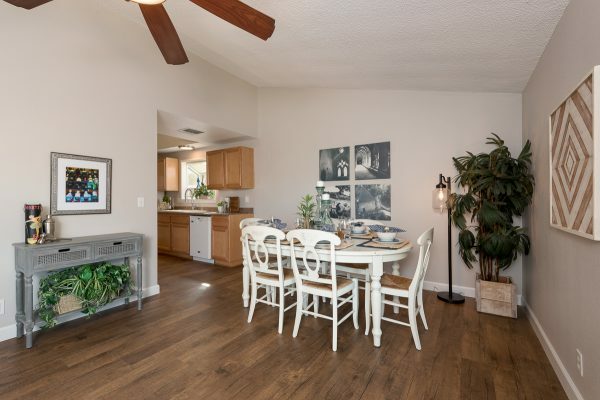 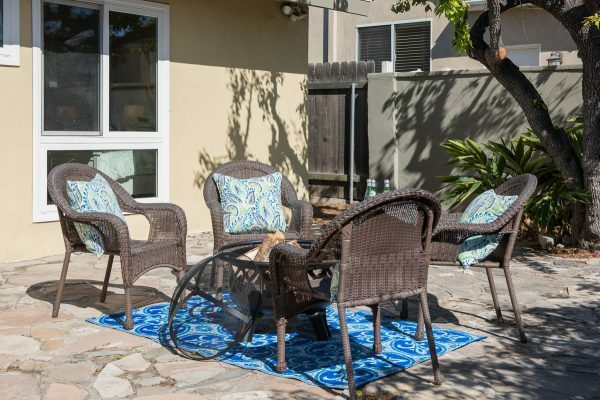 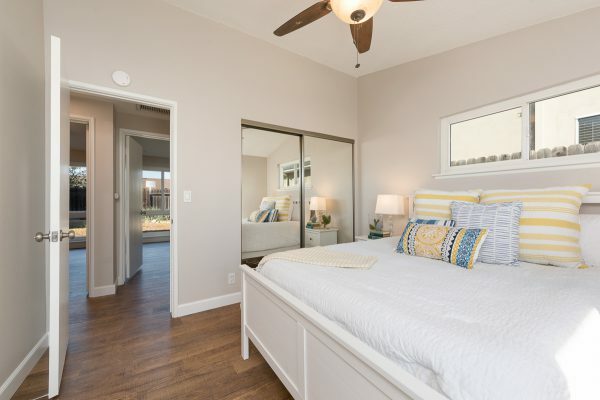 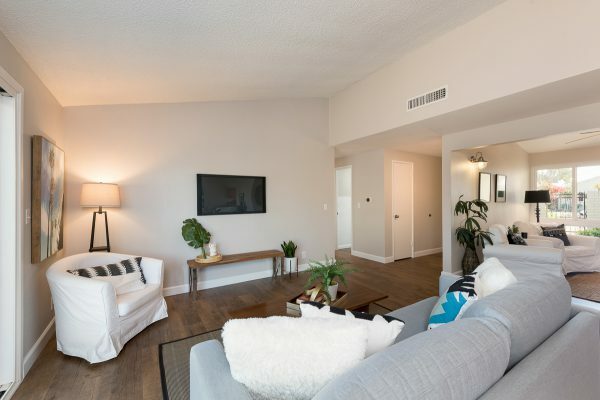 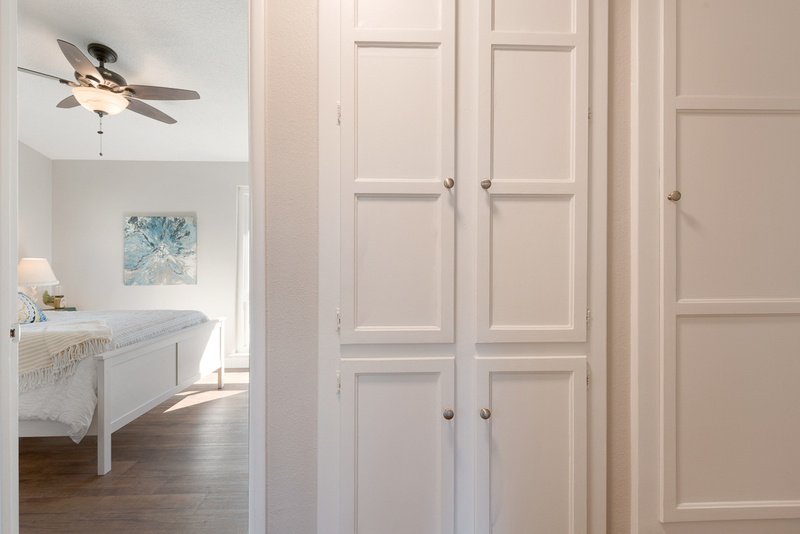 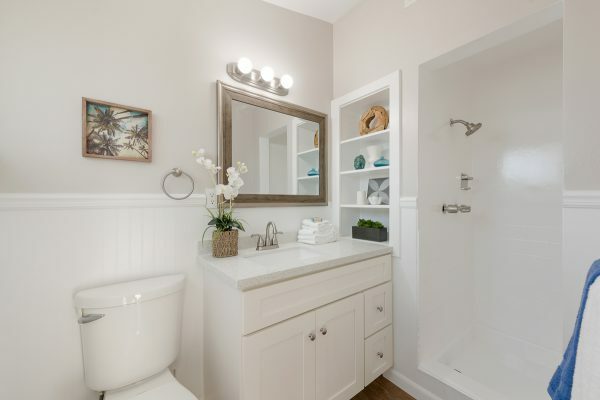 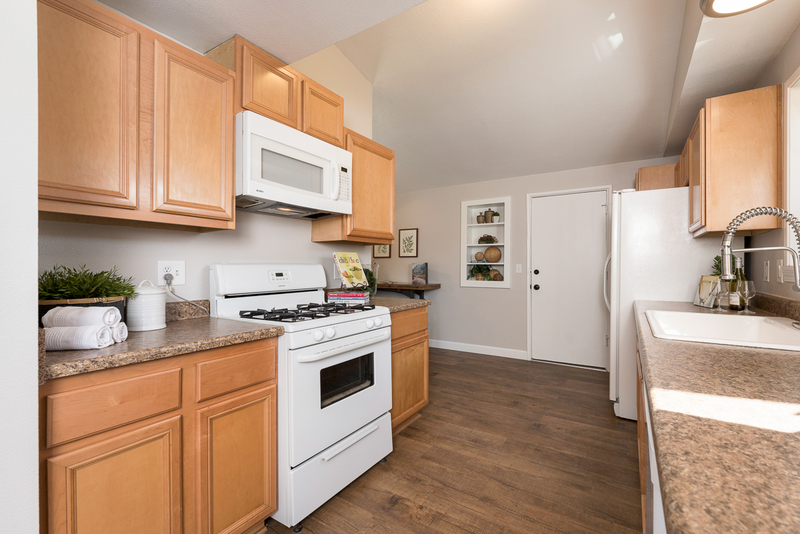 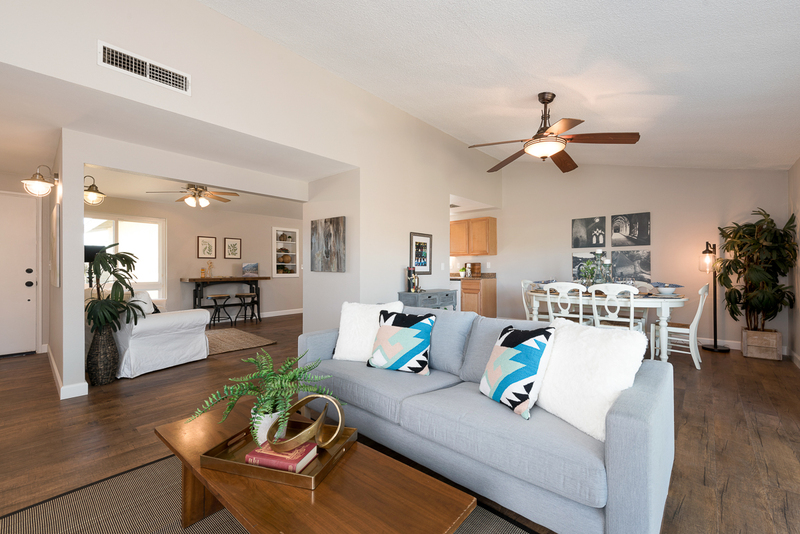 The central Orange County location near everything you love including, Peter Marshall School, a park and just a short drive away from destinations such as, Downtown Disneyland, Downtown Fullerton, Knott’s Berry Farm, and Anaheim thriving Colony Historic District. 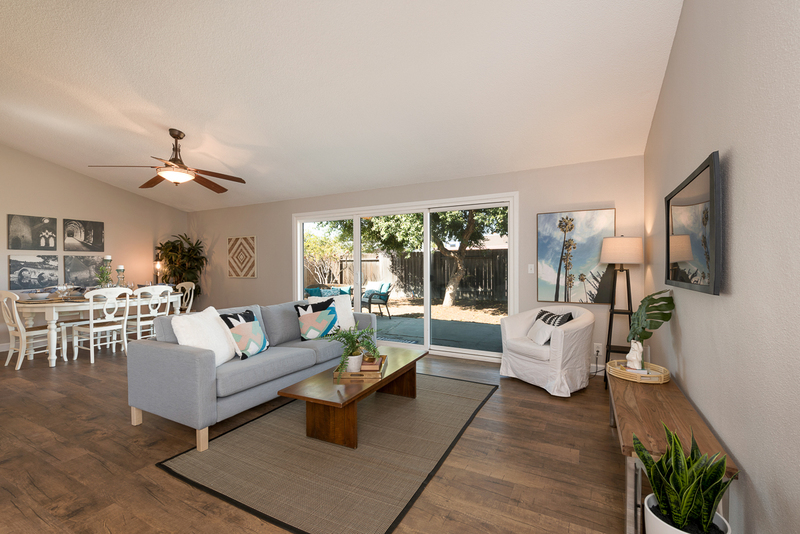 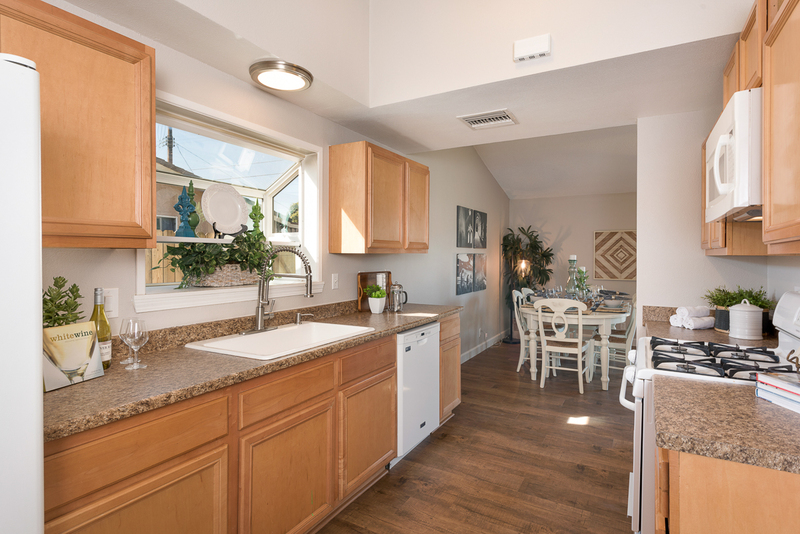 Live, love and thrive in this special Anaheim home.